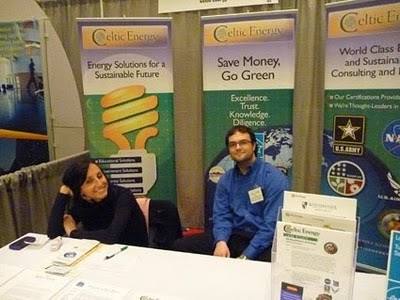 Green Energy and Building Expo at the Mohegan Sun, on again tomorrow!!! 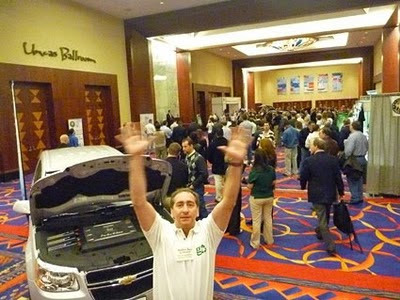 Bradford Rand of Go Green Expo greets guests of his friend Green Energy & Building Expo, Green Marine Productions Peter Romano at the Mohegan Sun, Friday, February 19, 2010 to a lobby full of electric vehicles, including a silver Tesla Roadster. The lovely ladies of A Lot To Say apparel, busy at work developing their new website, a long way from their home base in Danville, California. 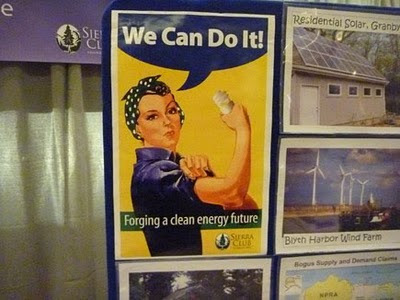 Sierra Club has the right idea, but they need to update their poster with a LED! 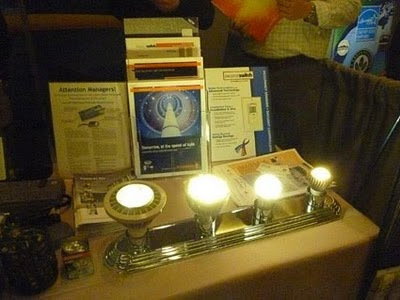 Like the new array of Sylvania LED models on display at the Munro Conservation Group table. Bradford Rand and the charming Mercury Solar booth babe, actress Samantha Ashley, who promised to attend a future Westchester Greendrinks, where she lives. 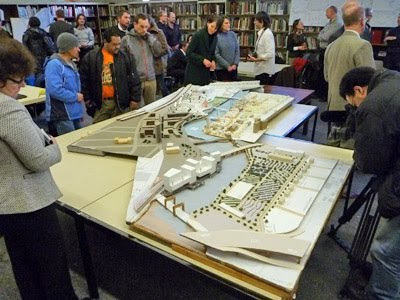 There's still time for you to attend the Green Energy & Building Expo, which is open Saturday, February 20th till 4 pm. 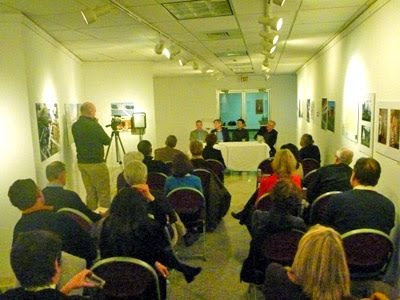 It's worth the drive from Fairfield County. Don't forget to say hello to Daphne Dixon of all the CT Gold Coast Green Drinks at her Conscious Decisions booth next to the Smart car. Go visit this great show! 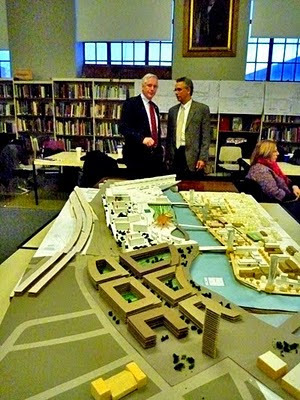 A few days after a small group of green builders and architects sat down to discuss the regional future of LEED at the opening reception of a Sacred Heart University's Gallery of Comtemporary Art exhibit on local green building projects, the mayor of Bridgeport Bill Finch unveiled his team of urban planning students from Germany who have been quietly re-inventing downtown as a green redevelopment showcase. 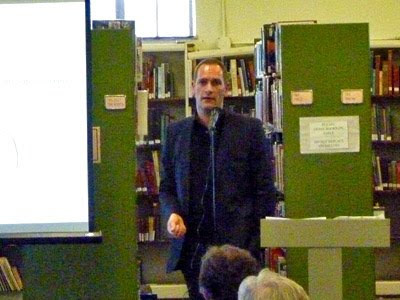 The gathering took place at the Bridgeport Public Library. 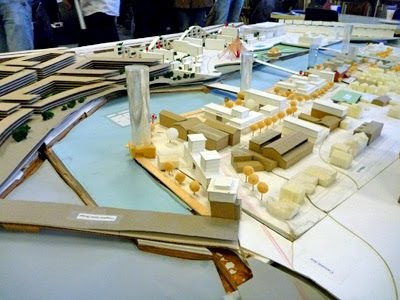 of the Bridgeport Design Group. 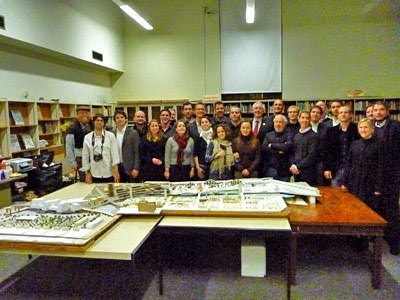 "Nils Wiesenmuller, principal and co-founder at the Bridgeport Design Group, spearheaded a “Renew Bridgeport” workshop that brought 21 students from the ClimateDesign program at Technische Universtat Munich (TUM) in Germany to Bridgeport to design concepts for five pieces of land along the Pequonnock River in Bridgeport. 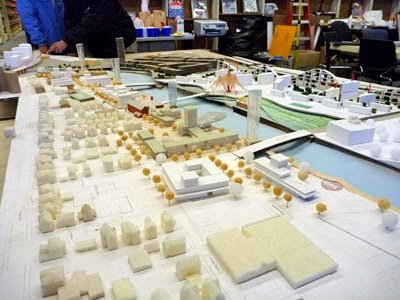 The idea of the workshop was to find ideas to help revitalize Bridgeport and make it a landmark city for sustainable, green, climate-friendly design."